Today I've got a bit of a random post. 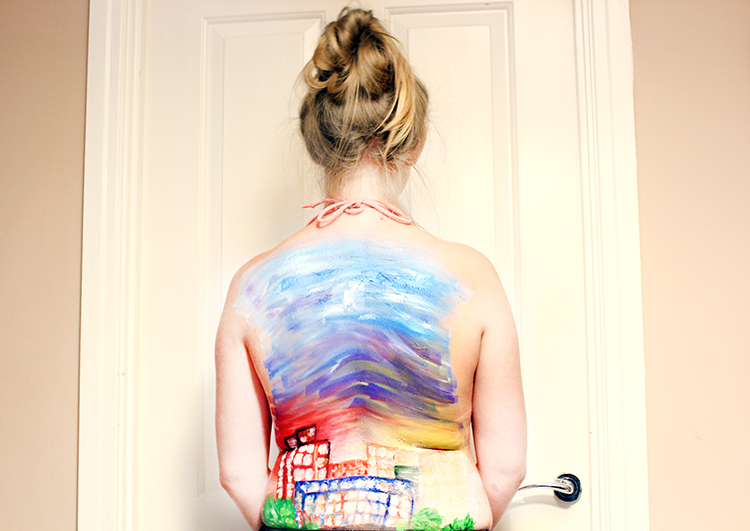 I've always wanted to paint on someones back. I realise that it sounds really strange but I guess its just an urge I sometimes get. 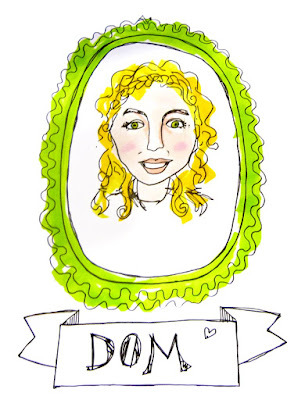 So in this post I just wanted to record this 'project' and show some artistic imagery. Oh and thanks to Stevie and Jade for being really chill about me painting their backs hehe. 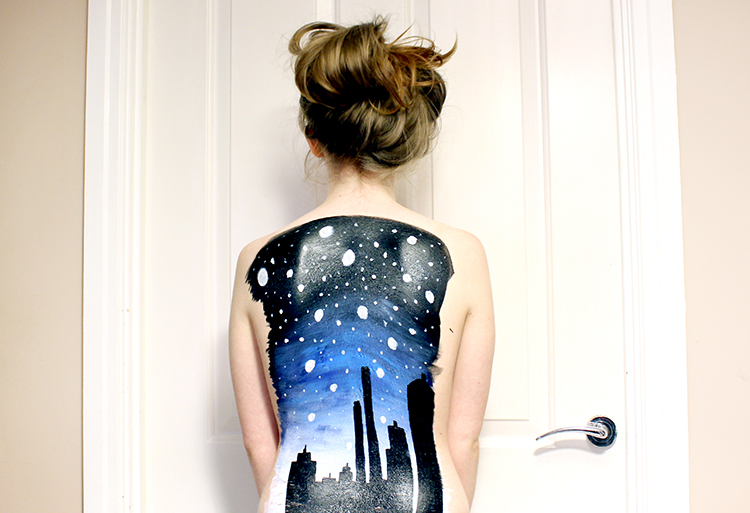 I don't know why but I just loved the idea of having a night sky or a sunset on skin. This might come from my obsession with sunsets which I've already spoken about previously. The back is a pretty big canvas so I thought it would be perfect for something like this. I've wanted to do this for at least 2 years and after not doing Art Foundation for a month or two I was getting withdrawals. 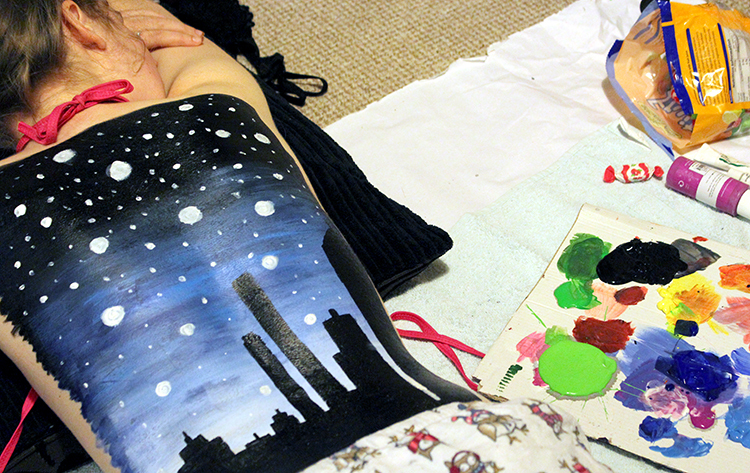 Although I haven't pursued the artistic side of me, I still get crazy projects I want to try, this being one of them. Honestly this experience has been so amazing, just chilling there with my friends, painting their backs while watching Bake Off... Amazing.